Family owned & run, we have come a long way from our humble beginnings back in the 1960’s. Mordialloc has been our home since the days when guests would order chop-siu bringing their own pots & pans, to where Sun Wah has evolved today. Over the past 5 years we have transformed from offering traditional Cantonese cuisine to incorporating modern fusion techniques, creating the food that is uniquely Sun Wah. Now managed by Restaurateurs, Albert & Rowena, who have a proven record of expertise in Asian cuisine are passionate devotees to both Western & Chinese cooking. The Sun Wah kitchen produces Asian fusion dishes using Eastern & Western food preparation traditions. We are well recognised for the Asian fusion dishes we produce. Sun Wah has been awarded numerous accolades including our recent listing by the AGFG in their top 14 Chinese restaurants in Australia. What makes our ingredients so special is that we source fresh and seasonal produce of the highest quality. Our menu has been created around local, seasonal & sustainable ingredients. Ingredients are sourced locally so that we support local business and farmers. Less travel time means better and fresher quality ingredients. Some of the producers we source our items from include; Hopkins River Farm, Otway Farms & Oceania Seafood just to name a few. It’s these type of ingredients we source that inspires us to create a menu that we love to eat. We hope that you love our food as much as we love to make it. 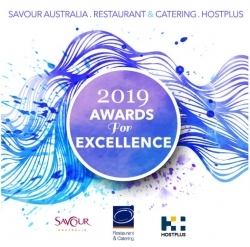 2017 ASIAN Restaurant Finalist, Restaurant & Catering Australia Award for Excellence. 2014 & 2013 Chef Hat Award, Australian Good Food Guide awards Sun Wah Restaurant with 1 chef’s hat award. 2016, 2015 & 2014 ASIAN Restaurant Finalist, Restaurant & Catering Australia Award for Excellence. We have been a couple of times and had great food so this time we treated ourselves to the chef’s degustation menu. Every dish was beautifully prepared and presented and wonderfully delicious. I especially liked the Hopkins River grass fed eye fillet and the crispy stuffed chicken. I even enjoyed the lamb – a meat I don’t usually like. And of course, the dessert taster plate is amazing. Highly recommended. Quality food with an exceptional wine list and excellent service. This hidden gem is much better than Silks at Crown Casino and the Flower Drum in the City. Quality food that easily surpasses those over rated 5-star restaurants in the city. I highly recommend this restaurant. The menu is delicious and standard of food presentation is high. We have also trialled the take out service which never disappoints! Regular customers and would recommend for anyone looking to try some wonderful Chinese dishes! Had a wonderful evening, the food was great. We ordered a banquet and as l am vegetarian they were happy to accommodate. The service was excellent. Nothing was too much trouble and everything was served with a smile. Would recommend it. Will be absolutely going back. Become a VIP member to eat for FREE on your Birthday. Simply fill in your details below so we can send you a special invite. Also enjoy a complimentary bottle of French Sparkling on your next visit.